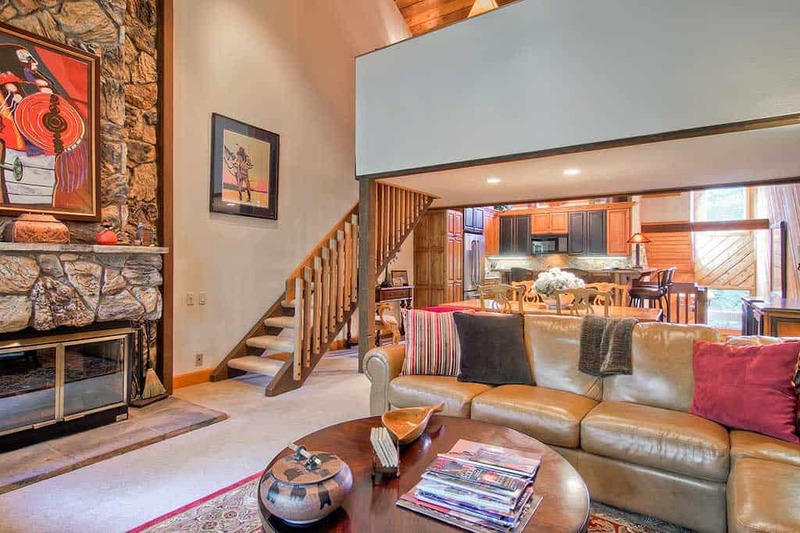 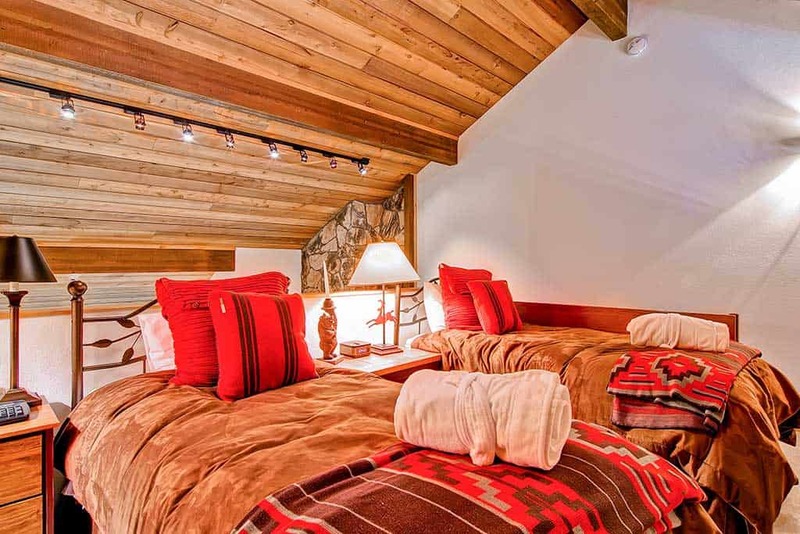 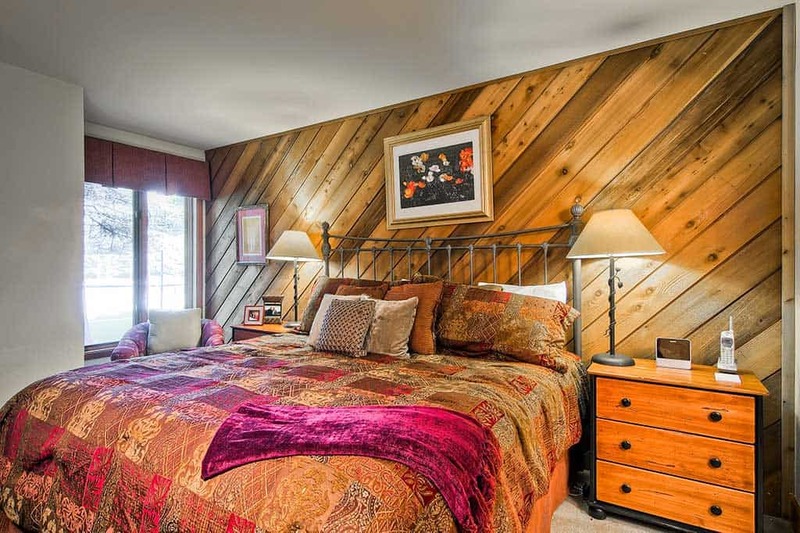 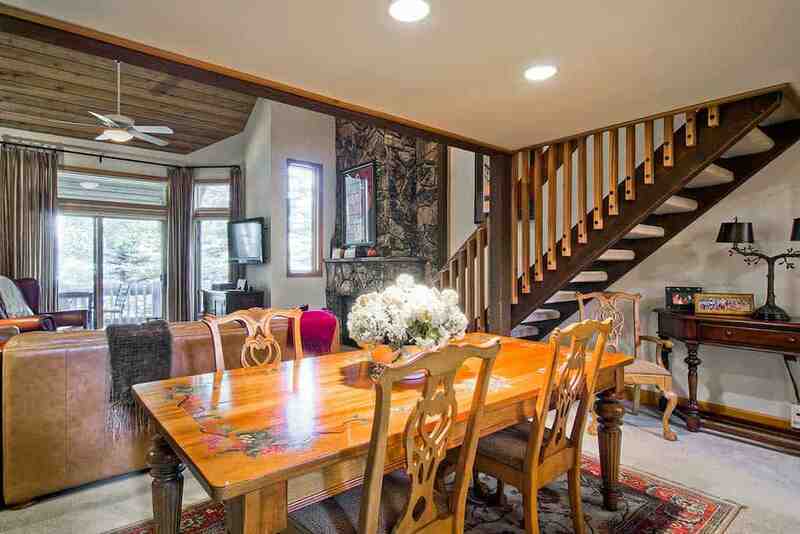 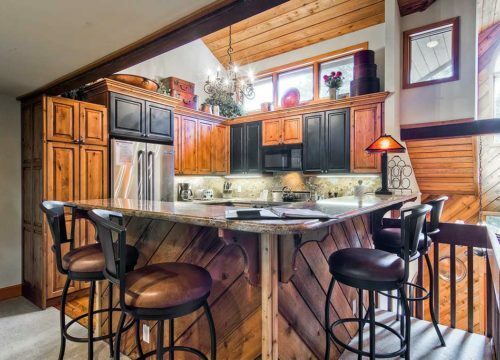 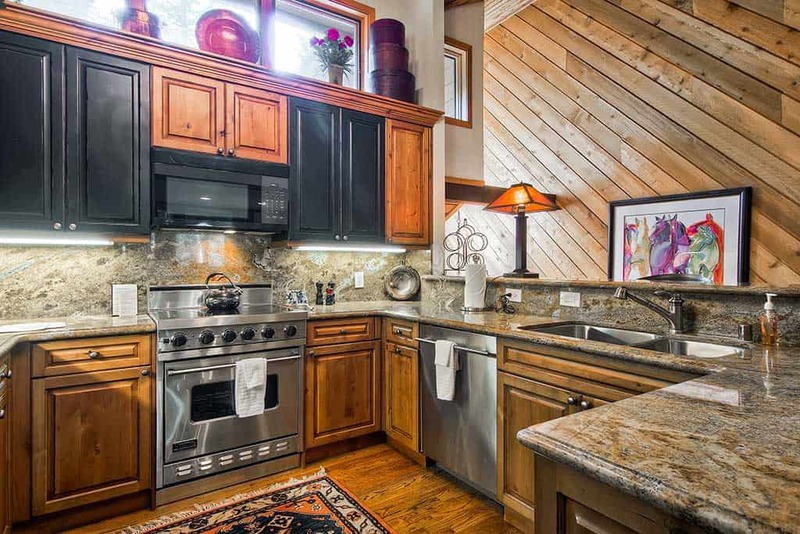 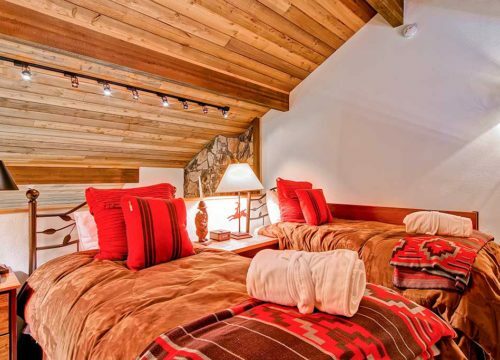 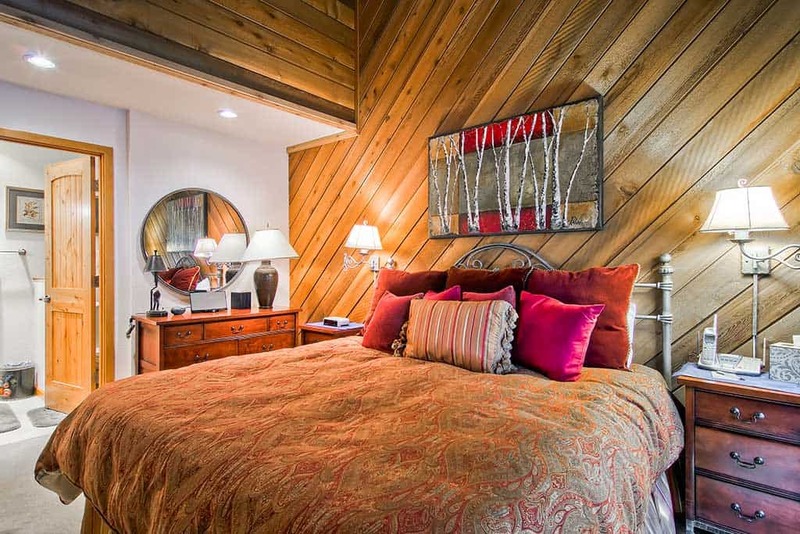 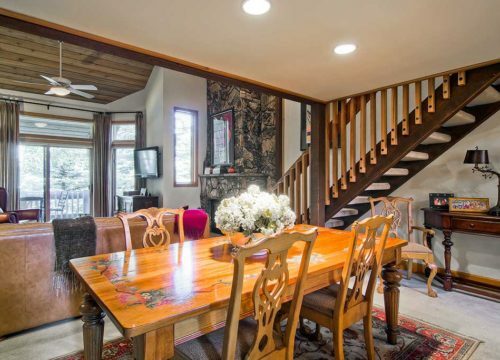 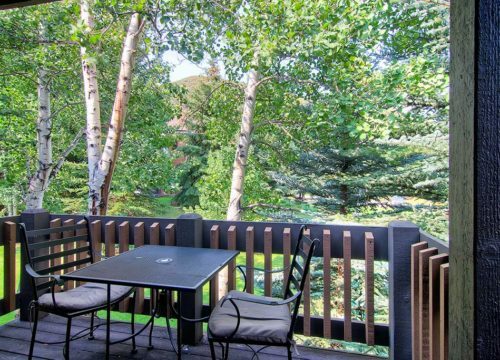 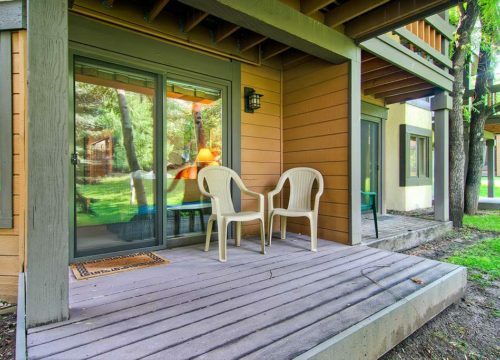 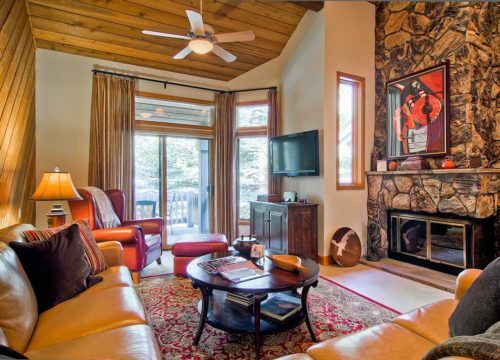 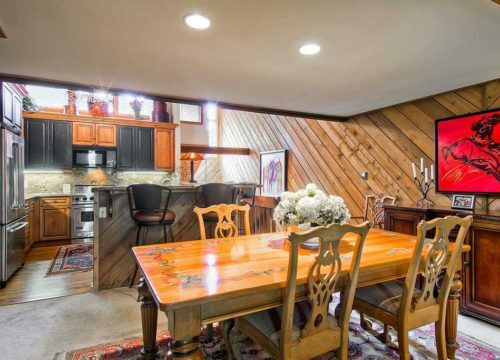 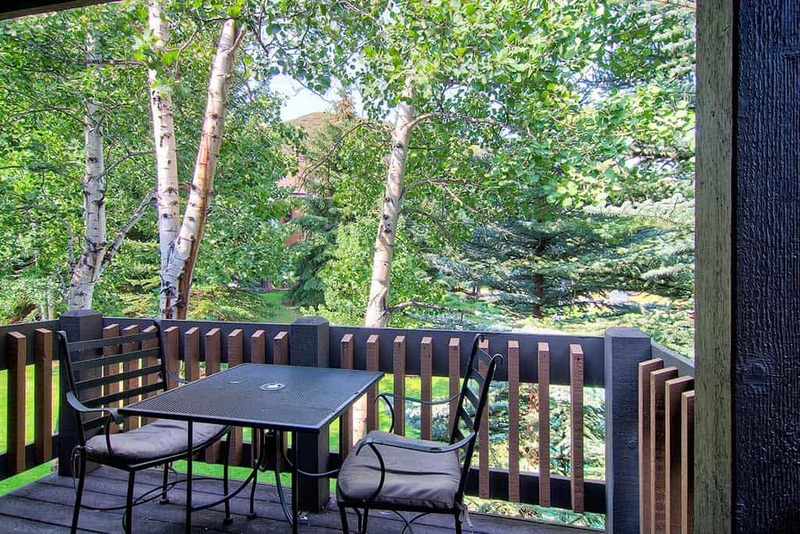 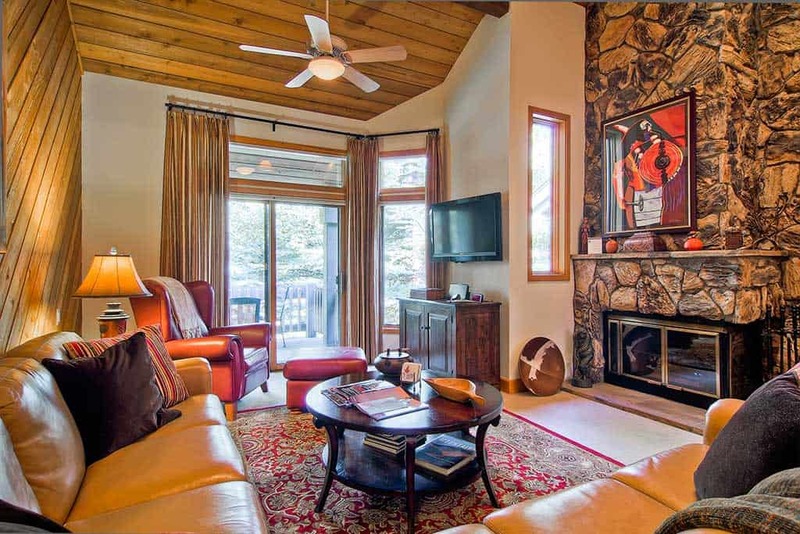 This multi-level, three bedroom plus loft, three-bath townhome in a wonderful spot for two small families traveling together on a Beaver Creek ski vacation. 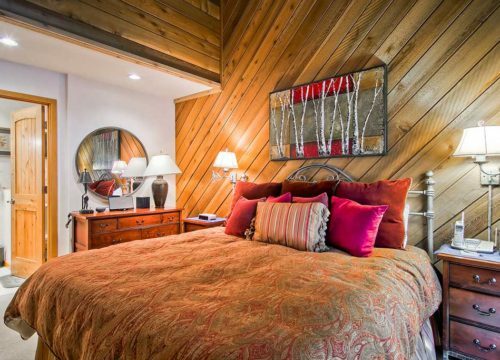 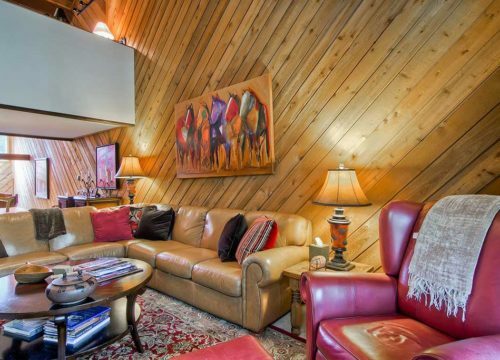 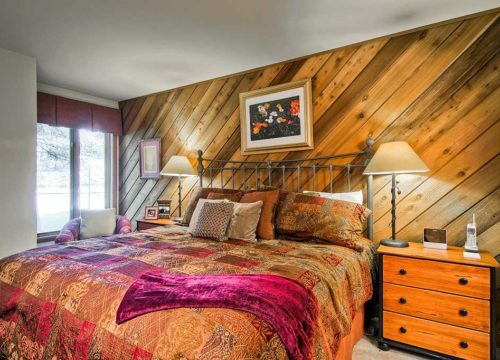 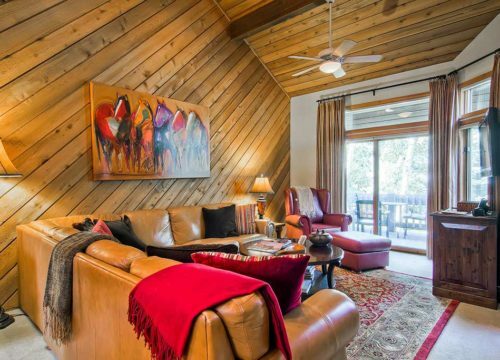 The home has a cozy feel, with comfortable furnishings and Native American accents throughout. 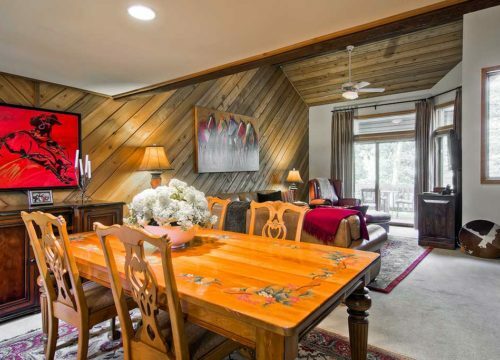 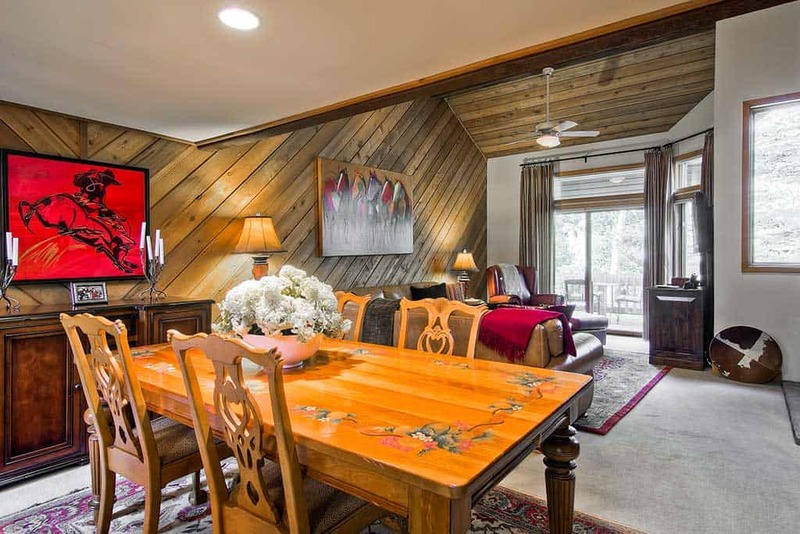 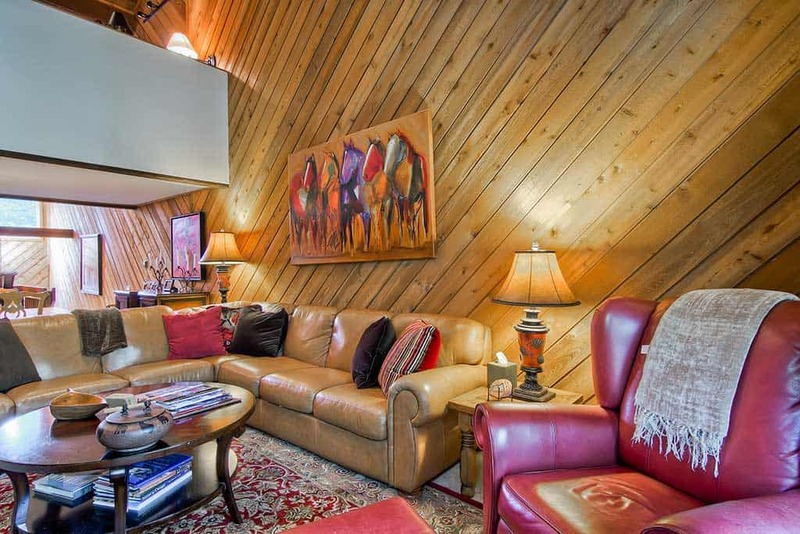 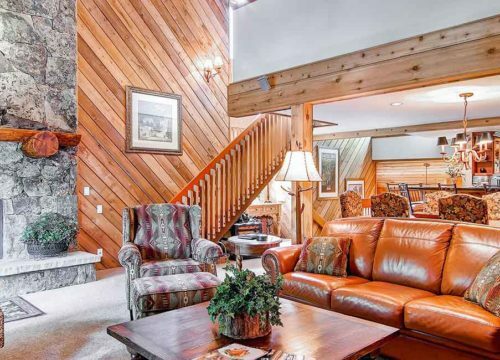 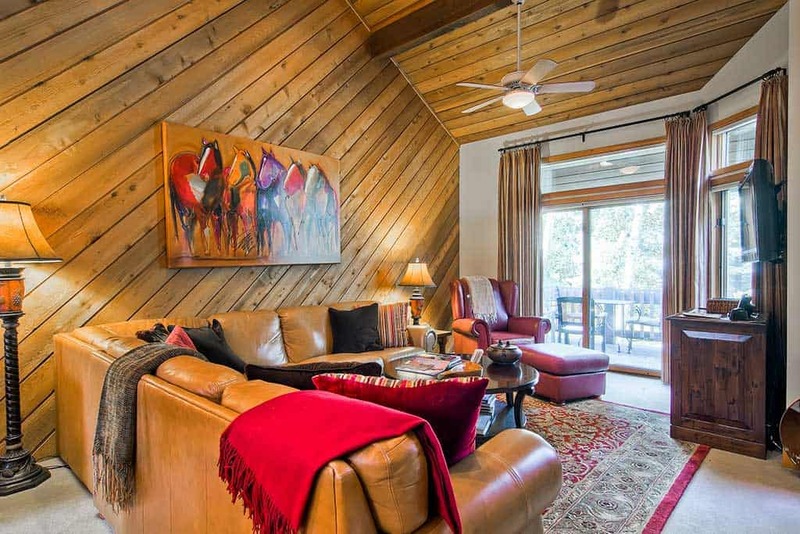 The living room has vaulted ceilings, and a large sectional with plenty of seating for everyone to gather and enjoy a movie on the flat screen TV after a full day on the mountain. 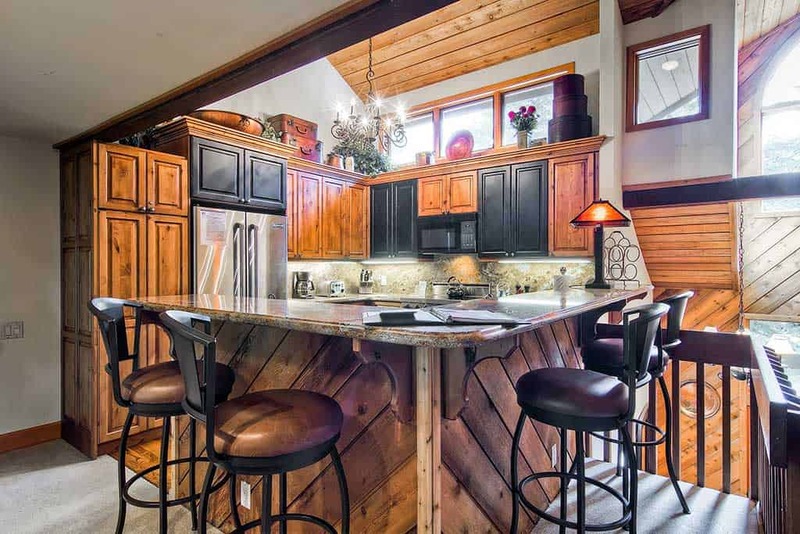 It flows into the dining area and open kitchen, fully renovated kitchen with granite counter tops and stainless steel appliances. 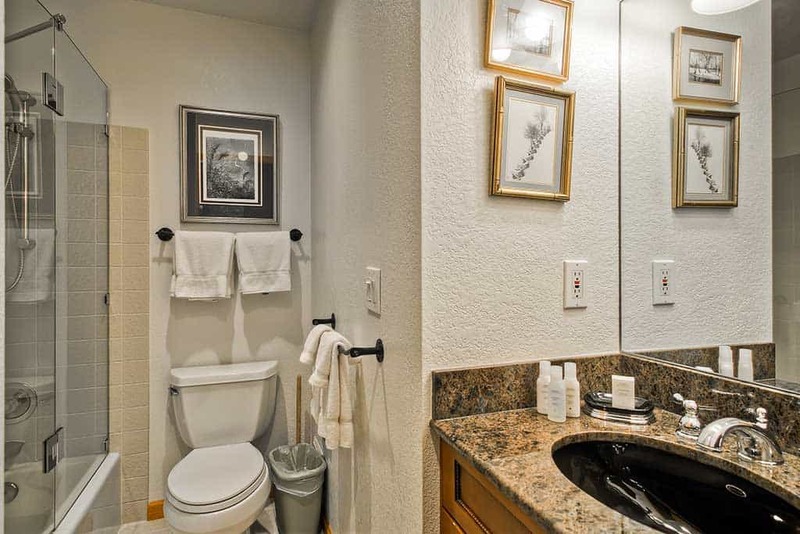 All three bedrooms are on the entry level of the home. 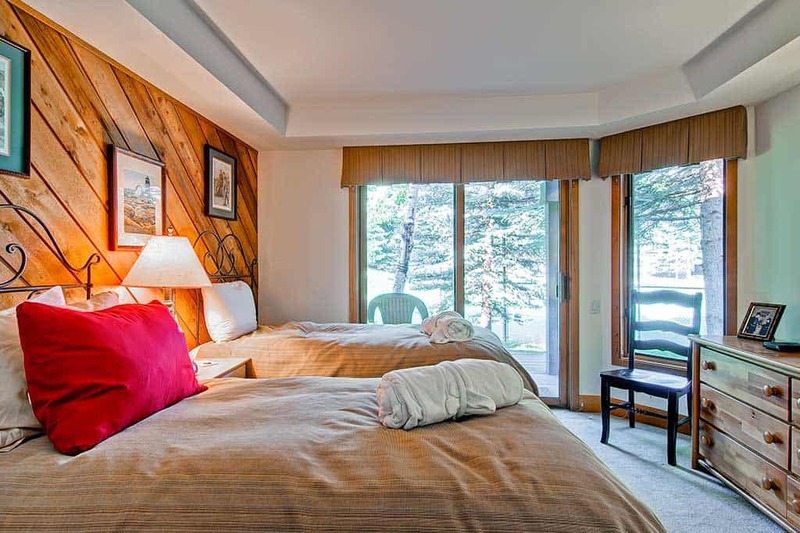 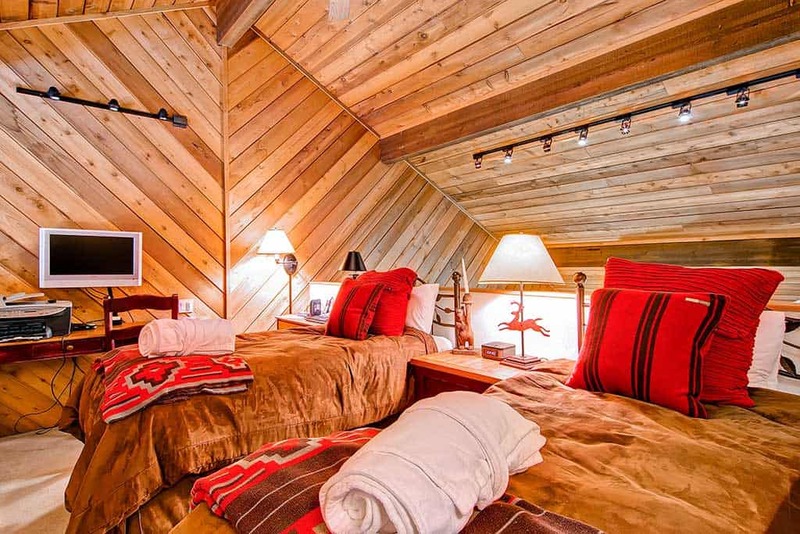 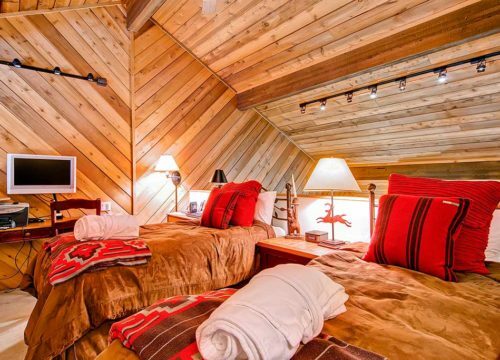 The master suite features vaulted ceilings, a king-sized bed, flat screen TV and upgraded en suite bath. 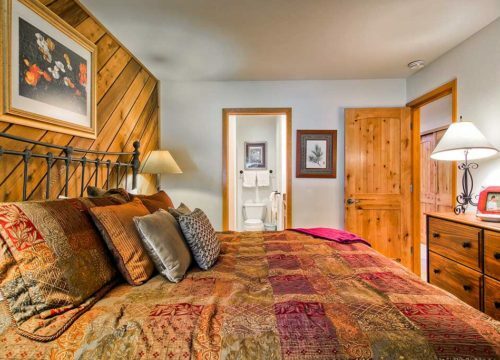 Another king-sized bed is in the second bedroom, which offers a flat screen TV and en suite bath. 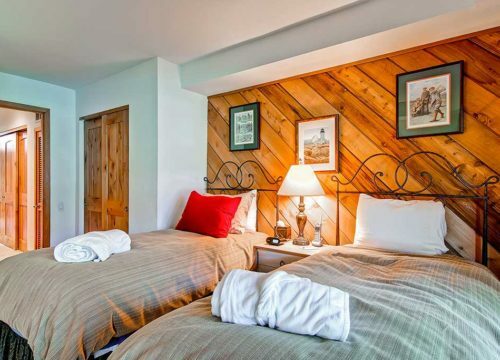 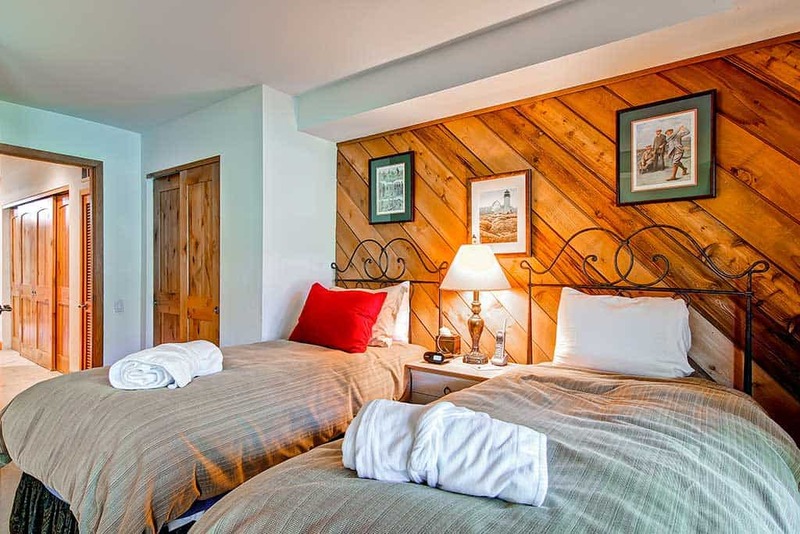 The final bedroom is furnished with two twins that can be made up as a king-sized bed if you desire. 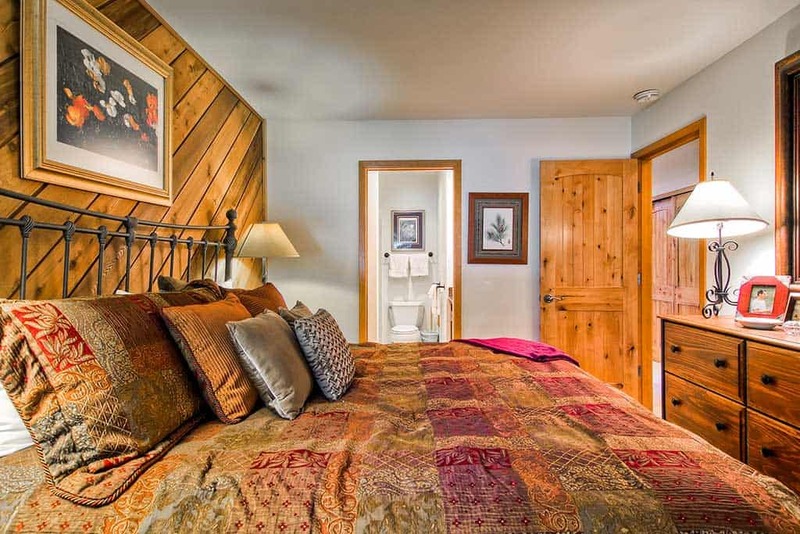 Guests in this room have a private patio and flat screen TV, with bathroom access from the hallway. 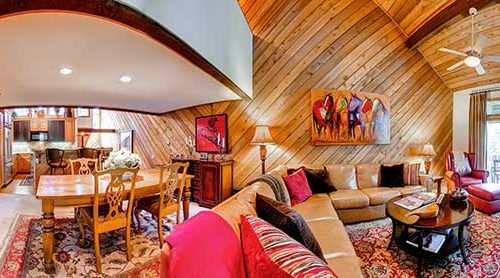 The open loft overlooks the living room and is set up as an additional sleeping area, with two twin beds and its own flat screen TV. 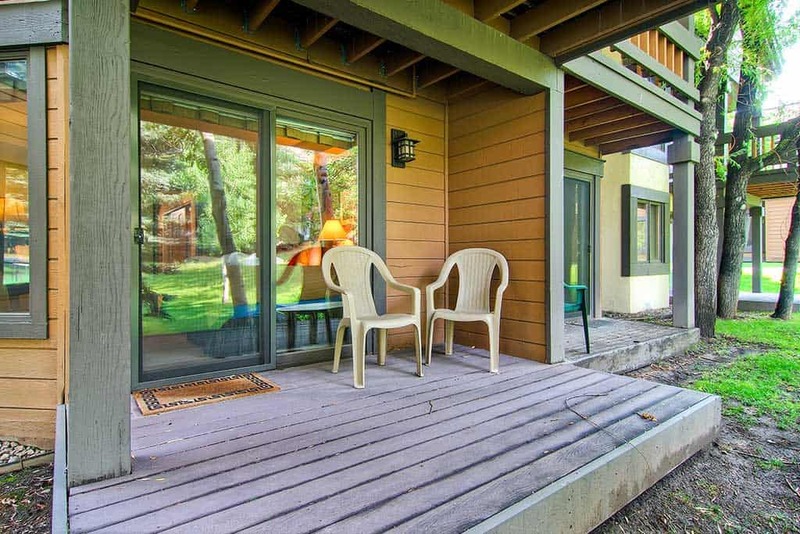 The deck off the living room, with a gas grill for you to use, has views of the tennis courts and the Ridgepoint complex. 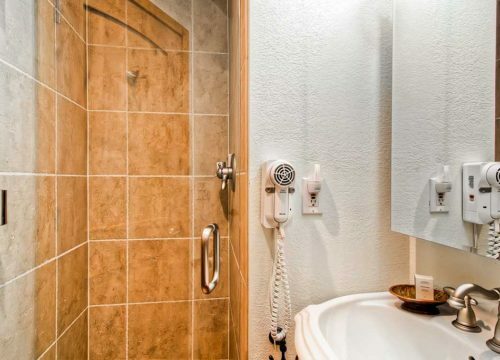 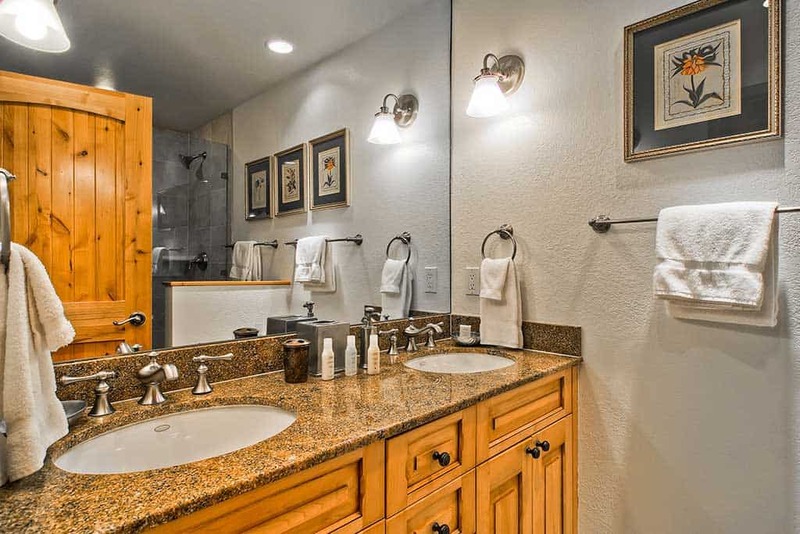 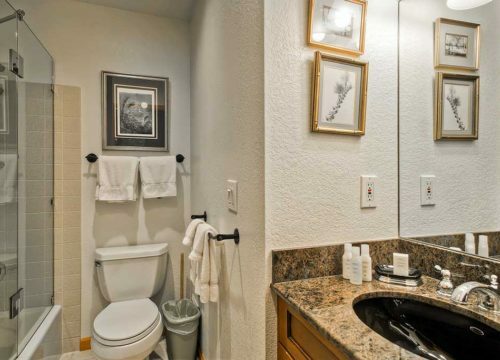 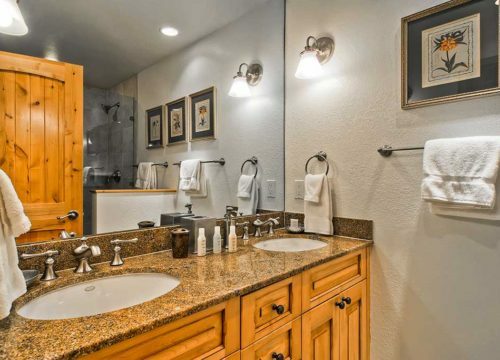 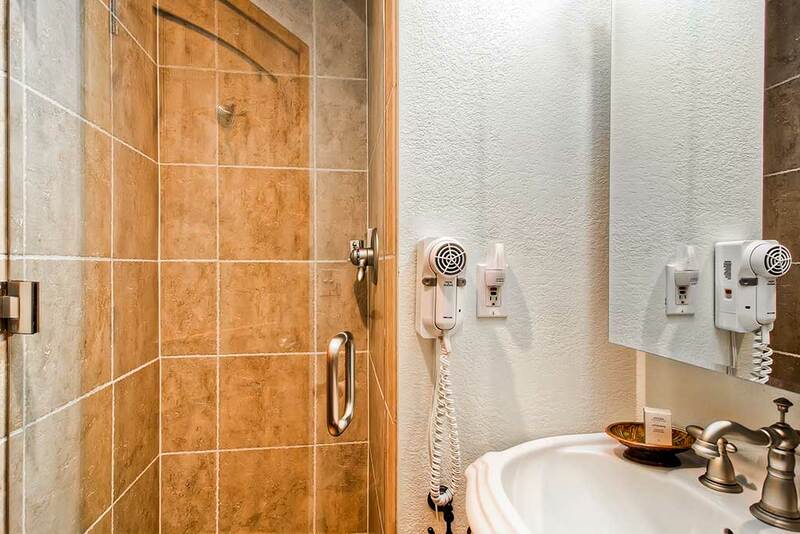 Guests of Ridgepoint enjoy an outdoor Jacuzzi and a sauna room year-round. 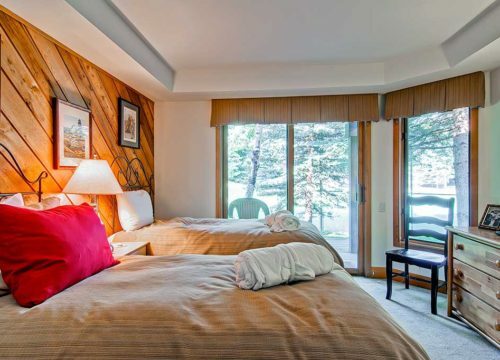 East West guests also enjoy on-site front desk, check-in and full concierge services. 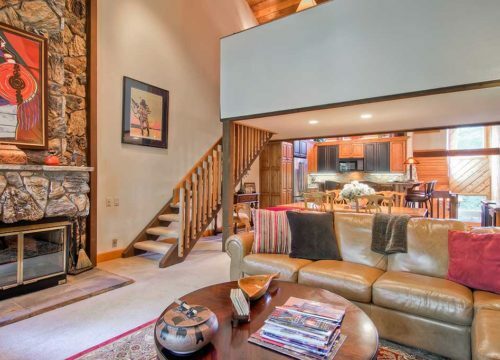 Ridgepoint Townhome #115 sleeps up to eight people.